The IMF is expected to must provide 5.4bn dollars. Ukraine is seeking to raise 7.6-7.7bn dollars in foreign loans in 2017, the National Bank said in an inflation report on 4 November. Of this amount, 5.4bn dollars should come from the IMF, 1bn dollars should come from the placement of Eurobonds under the US government guarantees, the European Union is to give 600m dollars. Another 600-700m dollars are planned to be attracted from other sources. Allocation of funds from the IMF in 2017 is expected to come in four instalments: in the first quarter - 1.99bn dollars, in the second and third quarters by 1.33bn dollars, in the quarter four - 735.8m dollars. In 2018 Ukraine expects to receive 2.9bn dollars from the IMF in four instalments: two at 735.8m dollars and two for 736m dollars (about 2.9bn dollars overall). Ukraine plans to place foreign bonds worth 2bn dollars. The international reserves are expected to grow to 17.5bn dollars at the end of 2016 and to 27.8bn dollars at the end of 2018. 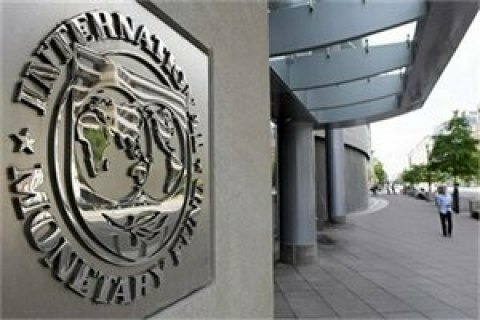 Ukraine has resumed cooperation with the IMF on the four-year Extended Fund Facility (EFF) funding of 17.5bn dollars in September. The Fund's Board of Directors on September 14 announced the completion of the second review of the cooperation program with Ukraine, and decided to allocate to Kyiv the third loan tranche of 1bn dollars. Ukraine received the two previous tranches in 2015. By the end of the year Ukraine expects another revision of the reform program and the allocation of the fourth tranche in December worth 1.3bn dollars. EU expert: vetoing strategic environmental assessment bills "unreasonable"